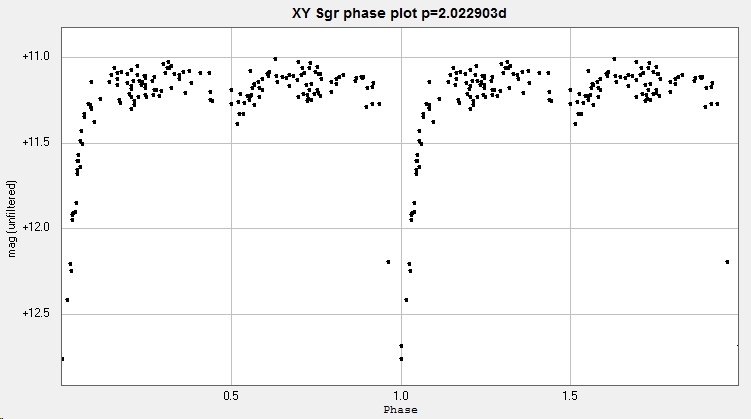 Light curve and phase diagram of the EA eclipsing binary XY Sagittarii / XY Sge. Obtained from 165 unfiltered images taken with the Bradford Robotic Telescope Cluster Camera between 2010 July 12 and 2015 October 29. 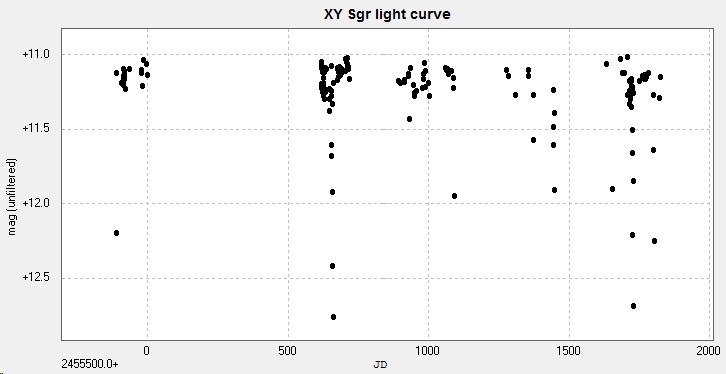 This star is in the field of my object star W Serpentis and images are a little underexposed for XY Sge. 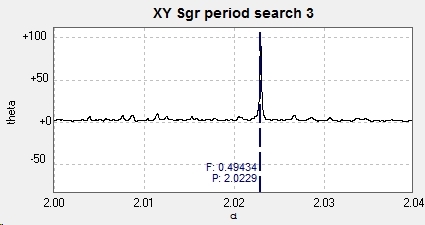 From the light curve, a n epoch of HJD 2456161.38 is obtained, together with a period of 2.022903 days. 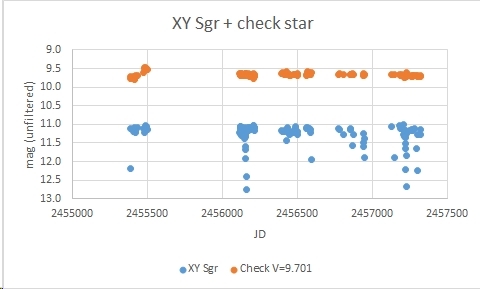 This compares with 2.0229225d from the GCVS and AAVSO VSX. There is some suggestion of o-c activity ref Kreiner et al. (Databases accessed 2015 Dec 12).